RSCBPCBC 1,5 m RS232/C cable for connecting AFW, ALGM, ASC, BCSD, GAM and KS series scales to PC. SHAL11 9V 800mA power supplier (EU). 14DFWBA Lead battery, 6V 4.5Ah. 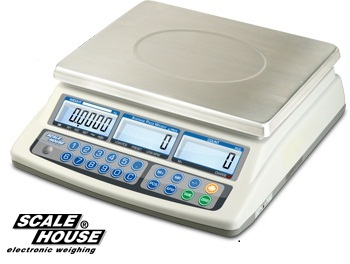 15ASBP Stainless steel weighing plate. 15ASBC Moulded protective covers in transparent plastic.